Avocados go great with just about any meal. Finding new ways to serve them is always fun. This side salad is simple and great for a hot day. 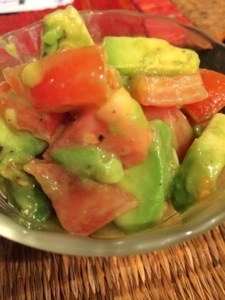 Gently mix avocado and tomato in a bowl. Then add honey, salt and lime juice. Mix well but gently so you don’t break up the avocado. Serve cold.